Breaking Barriers: Find out about Major League Baseball encourages young people to be like Jackie Robinson. Click the icon to go to the homepage. 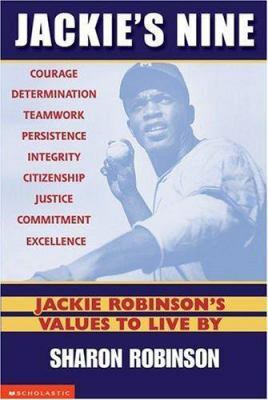 Jackie's Nine: Short stories written by Jackie's daughter, Sharon Robinson, about Courage, Determination, Teamwork, Persistence, integrity, Citizenship, Justice, Committment, and Excellence! Find it in the Biography section with spine label B ROB. The Top 10 African American Inventors. How many African Americans do you recognize? Can you match their face to the event that made them famous? Play the PBS game Find the Face to find out. A poetic tribute to the victims of the racially motivated church bombing that served as a seminal event in the struggle for civil rights. On Sunday, September 15, 1963, members of the Ku Klux Klan planted sticks of dynamite at the Sixteenth Street Baptist Church, which served as a meeting place for civil rights organizers. The explosion killed four little girls. Their murders shocked the nation and turned the tide in the struggle for equality. This is a selection of letters written by white & black Memphis school children to Dr. King telling him about themselves & how conditions have changed since his death. In this collection of oral histories, 30 African Americans who were part of the civil rights struggles in the 1950s-1960s South as children or teenagers recall what it was like. On December 1, 1955, Rosa Parks refused to move to the back of the bus and give up her seat to a white man. This refusal to give up her dignity sparked the Montgomery bus boycott, a yearlong struggle, and a major victory in the civil rights movement. Source notes, map, bibliography, index. This Newbery Honor novel tells the story of three sisters who travel to Oakland, California, in 1968 to meet the mother who abandoned them. Eleven-year-old Delphine is like a mother to her two younger sisters, Vonetta and Fern. She had to be, ever since their mother, Cecile, left them seven years ago for a radical new life in California. When they arrive from Brooklyn to spend the summer with her, Cecile is nothing like they imagined. While the girls hope to go to Disneyland and meet Tinker Bell, their mother sends them to a day camp run by the Black Panthers. Unexpectedly, Delphine, Vonetta, and Fern learn much about their family, their country, and themselves during one truly crazy summer. The ordinary interactions and everyday routines of the Watsons, an African-American family living in Flint, Michigan, are drastically changed after they go to visit Grandma in Alabama in the summer of 1963.